Leaving the helm of top-tier firm Chapman Tripp was no easy decision for Queen’s Counsel Jack Hodder. A long-time partner of the firm and one of New Zealand’s foremost litigators, Hodder set up his own practice just over three weeks ago, operating nationally as a commercial litigator commuting from Wellington-based Thorndon Chambers to Auckland-based Shortland Chambers. “It was something that was reasonably carefully thought through by me,” he said when questioned by NZLawyer. “Having been a board member for a decade, and a chair for six years, and been leading the litigation practice – broadly – for similar periods of time, there wasn’t really anywhere to go upwards, as it were. The firm has operated with two managing partners, one Auckland-based and one Wellington-based, and the chair of the board, Hodder said. “[This] meant, to some extent, there was a kind of a triumvirate, with a particular focus on management issues, and it was time for that to change. Hodder said there were major changes afoot before his departure with the rotation of managing partners. “It seemed appropriate to me that I should step aside and let somebody else look after that process. 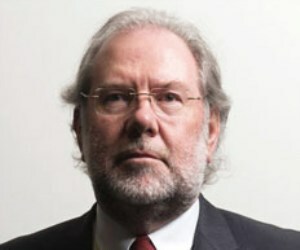 Hodder was admitted to the bar in 1978, after completing tertiary studies in tertiary studies in Wellington (BA, LLB (Hons)) and London (LSE/UCL – LLM). Before joining Chapman Tripp, he was a barrister sole, the founding editor of the weekly legal newsletter, The Capital Letter, and an inaugural member of the Law Commission (1986-1991). He held a national senior litigation role for the firm, was appointed a silk in 2008 and was chairman of the firm’s national board for six years until 2014, before stepping aside to return to the separate bar in May 2015. He has extensive experience across a wide range of areas, including representing Telecom in its defence of a major Commerce Act misuse of market power claims and representing MasterCard in a civil case brought by member banks and the Commerce Commission.